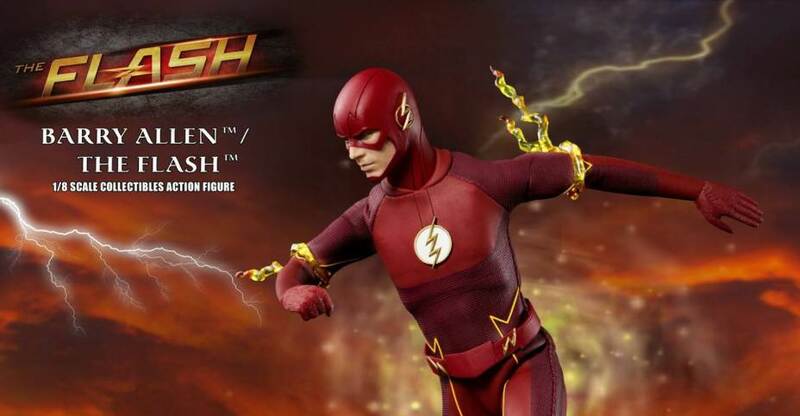 Grant Gustin's Scarlet Speedster will soon be getting a brand new action figure! 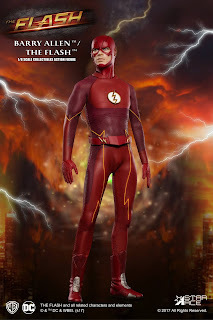 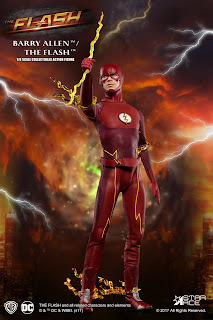 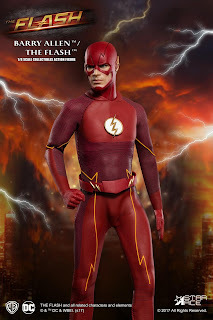 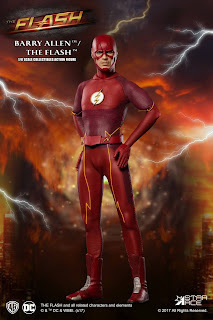 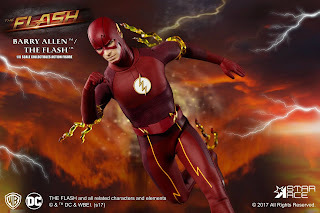 The first entry in Star Ace Toys' DC TV Real Master Series of action figures, The Flash is crafted in 1/8th scale, stands 9" tall and includes interchangeable parts, translucent lightning bolts and more. 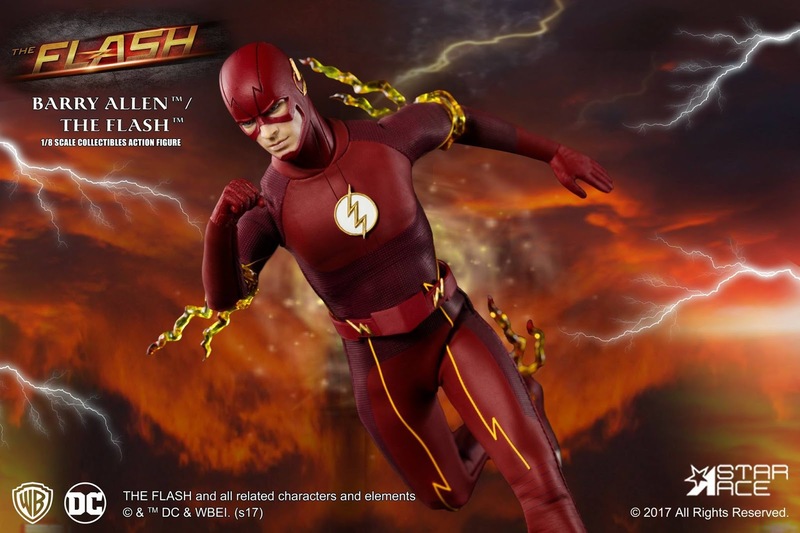 The first in Star Ace’s DC TV Real Master Series of 1/8 scale collectible action figures is The Flash from the CW television show. 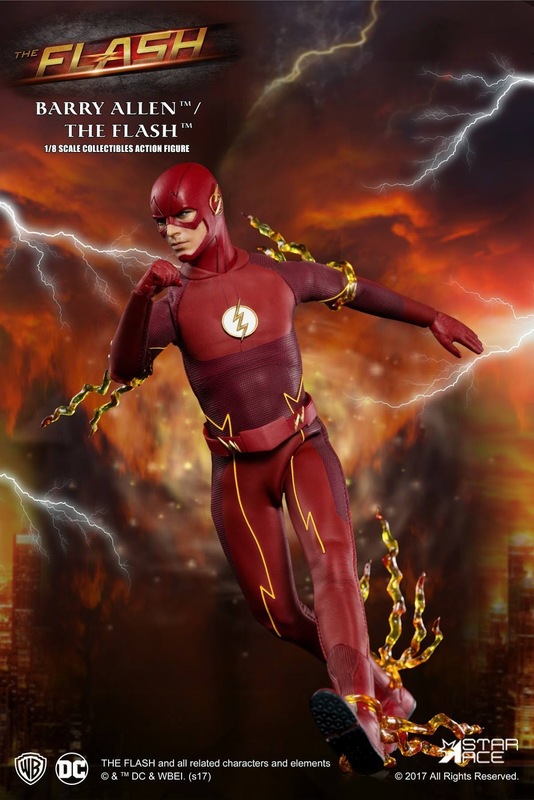 The Flash TV series has soared in popularity all around the world and has been at the forefront of many other DC superheroes coming to television. 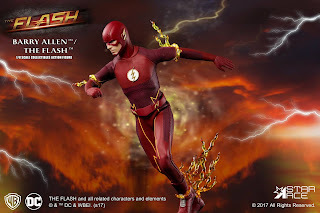 With the perfect balance of realism with a compact size, the 1:8 scale Master Series delivers a collectible that is easily displayed and affordable. 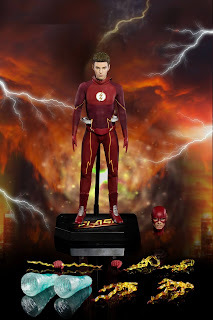 This 1/8 scale collectible figure comes with two heads; one with the Flash cowl on, and one of the unmasked Barry Allen. Translucent lightning bolts can be attached to the figure to simulate the character running through the speed force. The Flash will be the first of the DC television characters to come and will be available late in the second quarter of 2018. 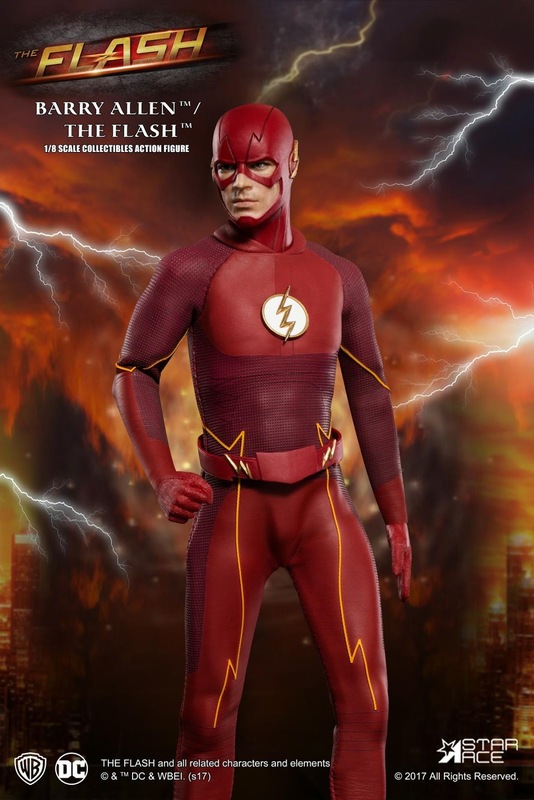 Check with your local distributors. 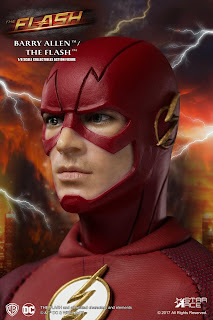 -Fully realized authentic likeness of Grant Gustin as The Flash and Barry Allen in the TV program “The Flash (Season 2) with accurate facial expression and detailed skin texture, each head sculpt is specially hand-painted. 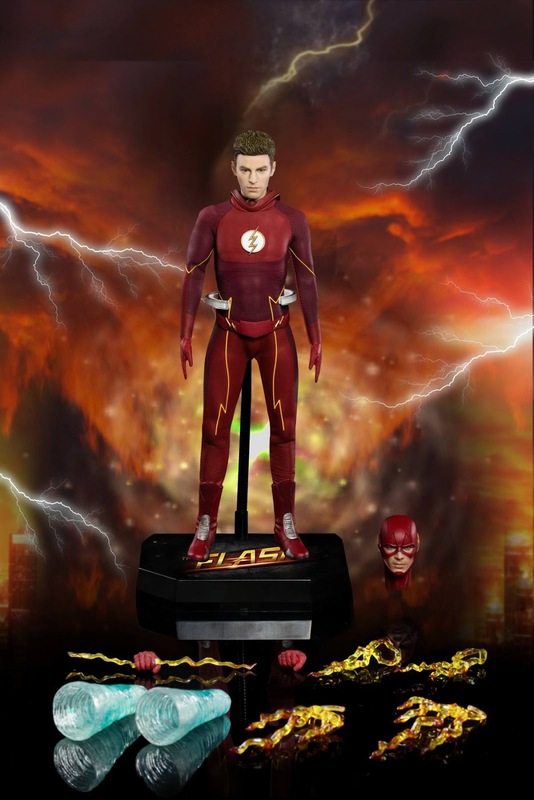 The Flash figure from Star Ace Toys arrives in the second quarter of 2018. 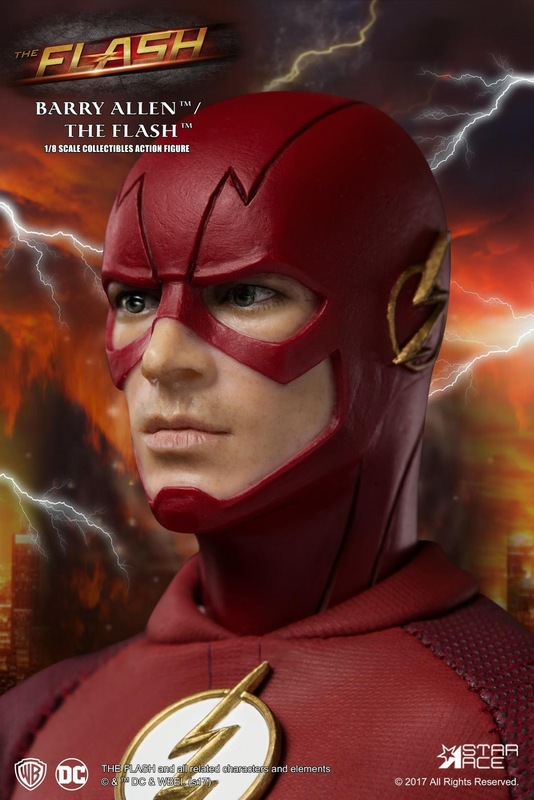 We look forward to checking it out in person and seeing what other DC TV characters Star Ace Toys has planned for this new line of 1/8 scale action figures.